One of the best things about owning a motorcycle is that it can often take you places where cars could never go. Narrow country roads or crowded city streets, back lanes and back paths, you can ride many places on a motorcycle that gives you a unique view of the world. It’s one of the things that makes owning a motorcycle a statement about who you are. Cars are for transportation – they get you from point A to point B, maybe with a little style thrown in. A motorcycle, however, says something about its owner and his or her personality – a motorcycle is a mark of individuality. When you’re looking for a motorcycle shop in the Melbourne area that provides the best in quality service for your bike or can build that custom bike you’ve always wanted, visit Mid Life Cycles. Our highly qualified and talented team shares your passion for motorcycles and will help your bike look and perform better. If you want to talk about a custom build, say a scrambler in Melbourne, our award-winning group of bike builders are ready to go to work for you today. 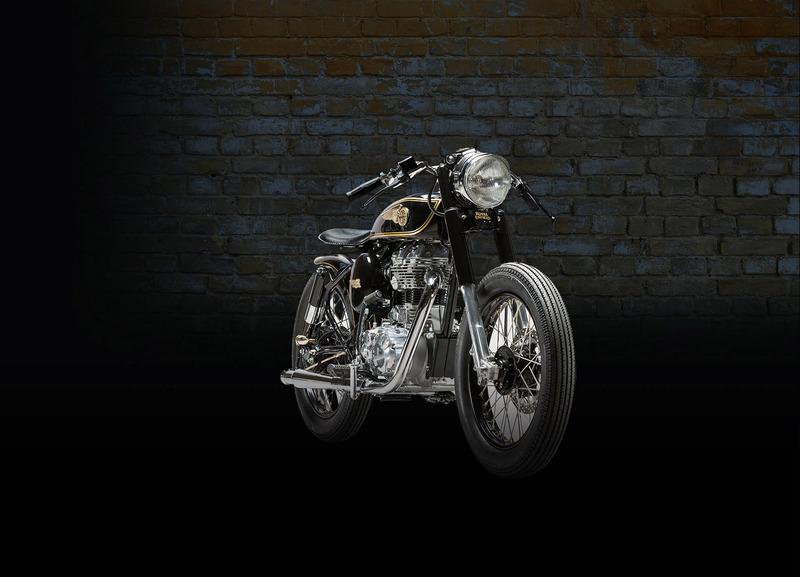 When you want the best in motorcycles, be it modern, retro, classic, or custom-built, we are the place to go. The scrambler is the ancestor of today’s dirt bike. The original scrambler is also the first cousin to the other well-known custom bike, the café racer. Like the café racer, the scrambler is stripped down of any extra parts or accessories to make it lighter and faster. While the café racer would race back and forth on regular roads, however, the idea of the scrambler was to travel directly to where you wanted to go regardless of where it took you. So, if you wanted to go from point A to point B, but that involved going through fields and streams or/and mud, then a scrambler was what you wanted. Once the bike lost all extra weight, their riders added spoked wheels, elevated exhaust pipes so they wouldn’t smack into objects on the ground, and designed special tyres for what we now call off-roading. Since dirt bikes did not exist until many years later, if you wanted a scrambler you had to build it yourself or find someone that would do it for you. Remember, these early scramblers also had to look stylish on regular roads as well. Scramblers remain one of the most popular custom bike builds to this day. When you’re seeking to do scrambler mods in Melbourne, we can help your bike look and perform at its peak. Whether you are looking for custom built scrambler motorcycles in Melbourne or just seeking regular maintenance and service, you can count on the very best care. Our professional and highly trained technicians drive and have raced motorcycles themselves. They love bikes as much as you do, and they can be counted on to ensure that your bike is at its peak performance level. We are the largest Royal Enfield shop in Australia. When you want the best in motorcycle care for your bike, or you would like to look at one of the newest bikes in the Royal Enfield line, come and visit us today.